Private Instant Verified Transaction (PIVX) launched back on January 31st 2016 as a fork from the coin DASH. PIVX was created with the ideas of DASH in mind along with privacy features. The overall goal of the coin is a fast, effective, and private method of exchange. For its privacy features, PIVX makes use of the zerocoin protocol. 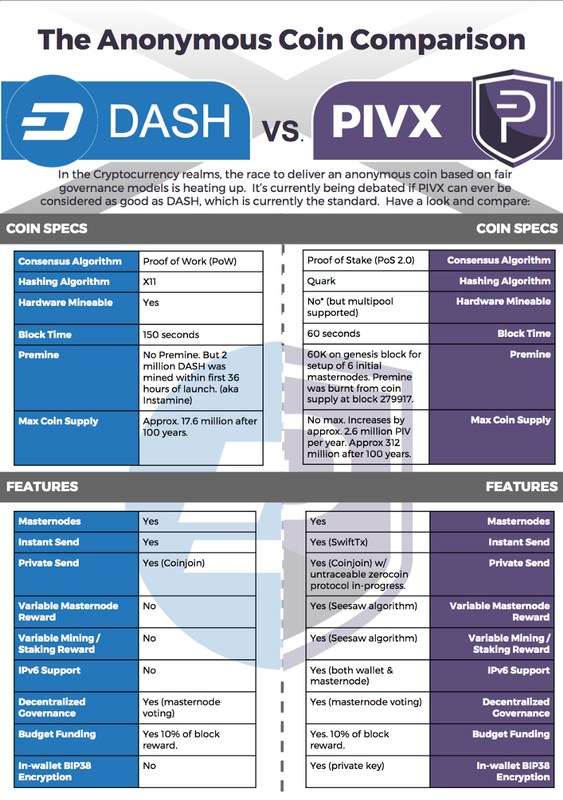 One key difference between PIVX and DASH is the consensus method used. PIVX works using Proof of Stake (PoS) while DASH employs Proof of Work (PoW). To that end, PIVX cannot be mined. The coin has a total supply of 55 million and a current circulating supply of under 30 million due to the coin’s master node and proof of stake features. The total market capitalization of the coin at the time of writing is $197,491,328 which places it at rank 60 on coinmarketcap. 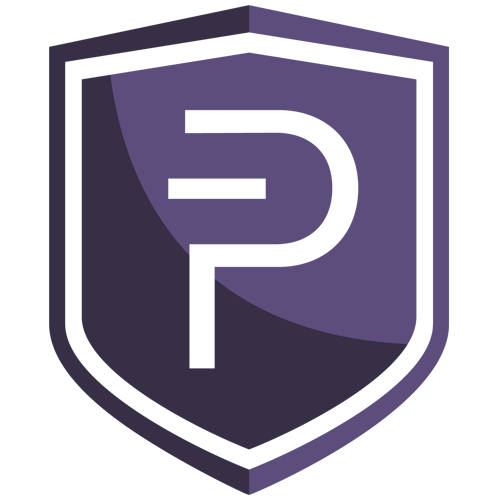 PIVX employs both masternodes and the Proof of Stake (PoS) consensus protocol to stabilize and secure its network. The staking rewards are shown in the table below. PIVX makes use of a see-saw rewards mechanism for the rewards of the master nodes and those staking. In short, the reward received for the stakers and verifying masternode changes based on the needs of the network. More masternodes means less rewards for master nodes as more emphasis needs to be placed on network security (staking). Less masternodes would mean more emphasis is needed for network stability (masternodes) so the amount received for the masternode user would increase. PIVX will be adding zPIV staking (zPoS) feature April 7th of 2018. 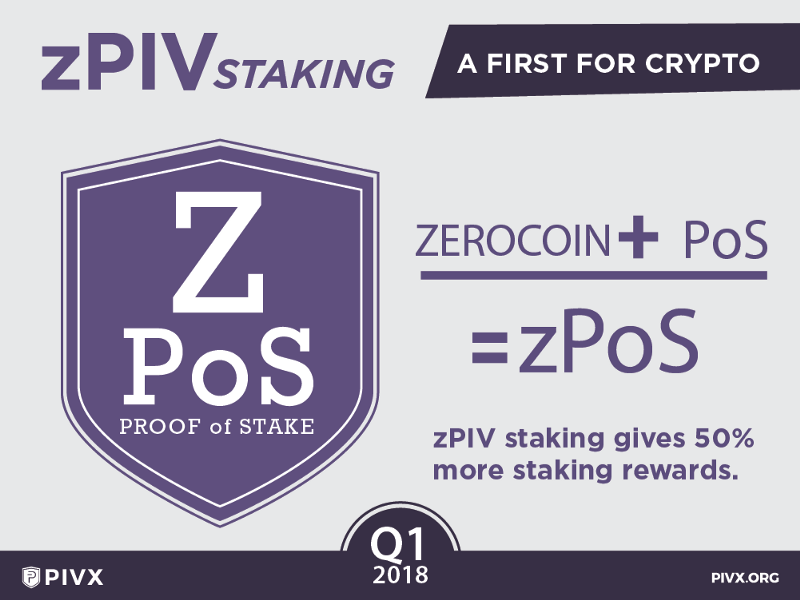 With this addition, users will be able to stake zPIV or zercoin protocol PIVX for staking rewards like normal PIVX. This feature will be the first of its kind according to the PIVX team. With that addition, block rewards will change. 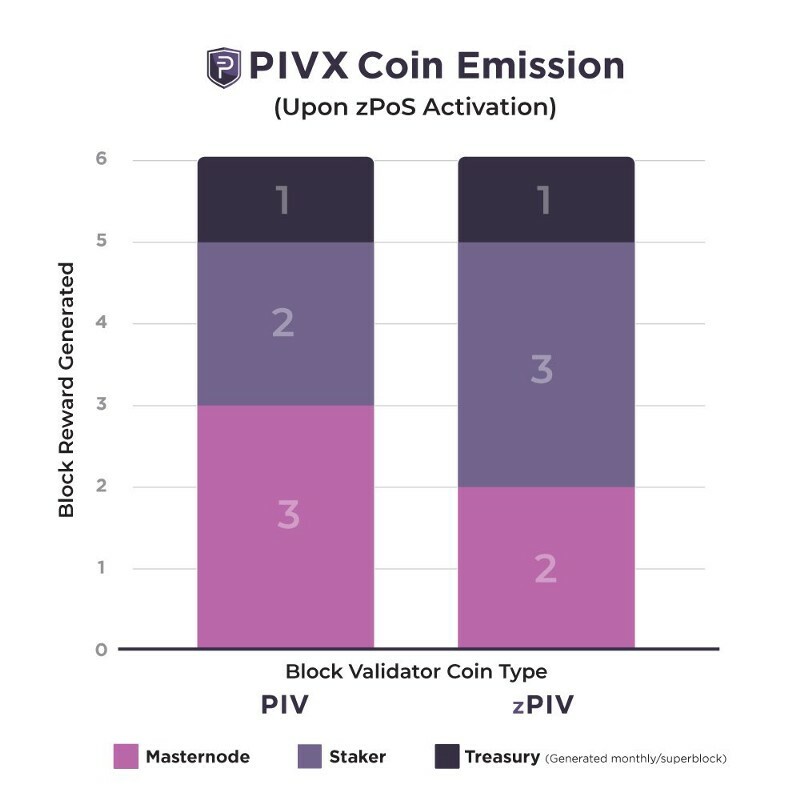 If a zPIV staker validates the block as opposed to a PIVX staker, the block reward shifts so that the staker receives more of the reward than a traditional PIVX staker would. A breakdown may be seen in the chart below. 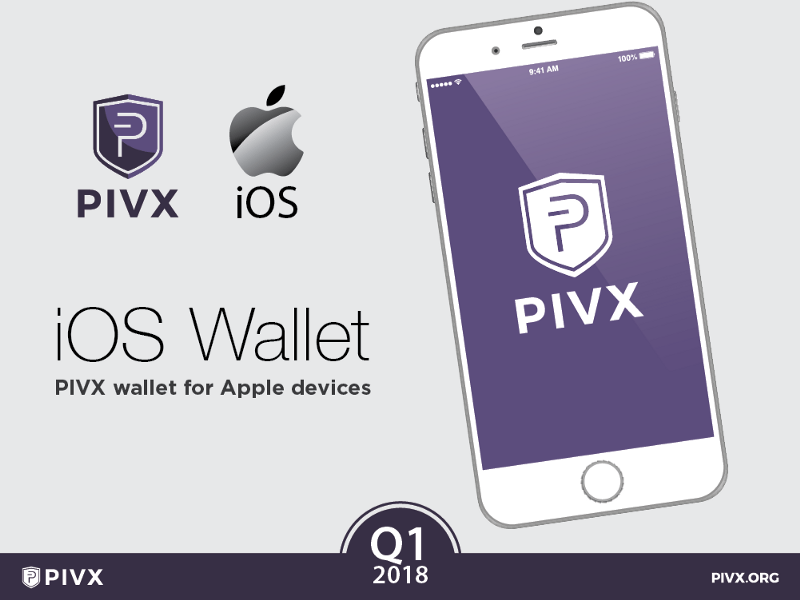 The PIVX wallet is currently available on Windows, MacOS, Linux, and Android. The team had a goal of an iOS wallet release at the end of 2017 but was denied by Apple. The team is currently working to bring the application up to standards for release on the Apple App Store. 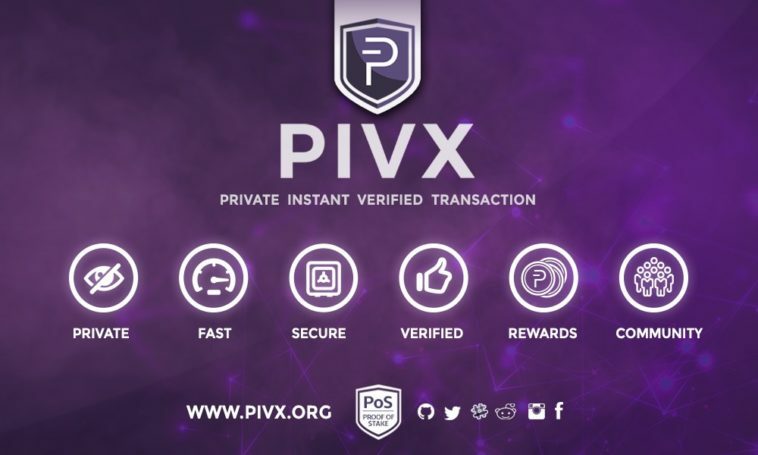 Because PIVX aims to function as a day to day method of payment a large focus is placed on its wallet and wallet features along with the accessibility of those features. 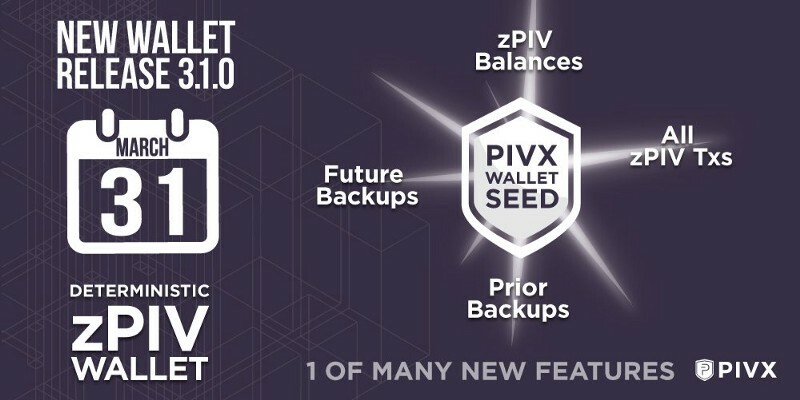 Currently the PIVX wallet is set to release its 3.1.0 update which would add deterministic zPIV seeds to the wallet. This feature will make it so that users taking part in zPIV (PIVX used with the zero coin protocol) minting will no longer need to backup their own seeds as a single private key will be able to be used for zPIV minting. This feature also will enable the addition of the zPoS feature discussed previously. Additionally features the team is looking to add to the wallet revolve around governance. With the PIVX project, master node holders voted to opt for a “community designed governance system” meaning that all holders of the coin are able to vote on upcoming changes and proposals to the project. Two features that will be added to the wallet are a proposal tab and voting tab. 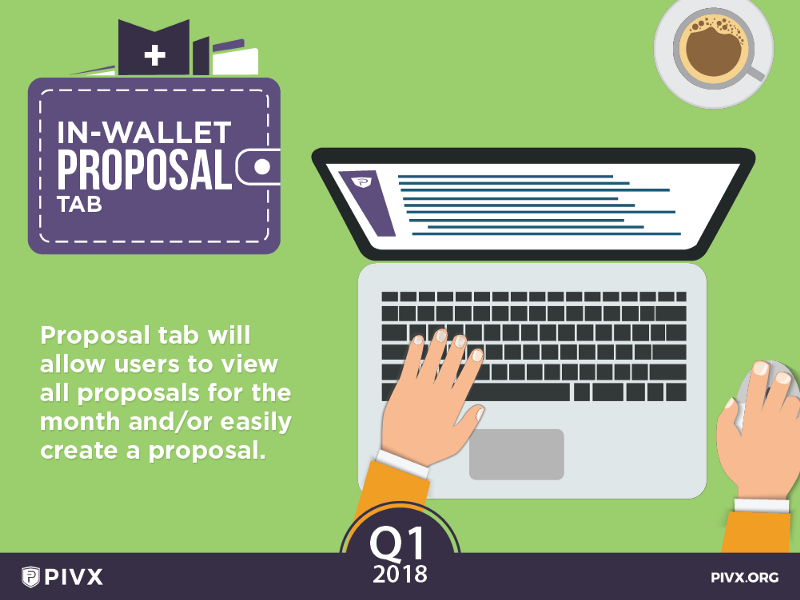 For the proposal tab, holders will be able to view any proposals for the project in wallet as well as offer proposals too. Furthermore, the team aims to make the voting system for those proposals available in wallet. 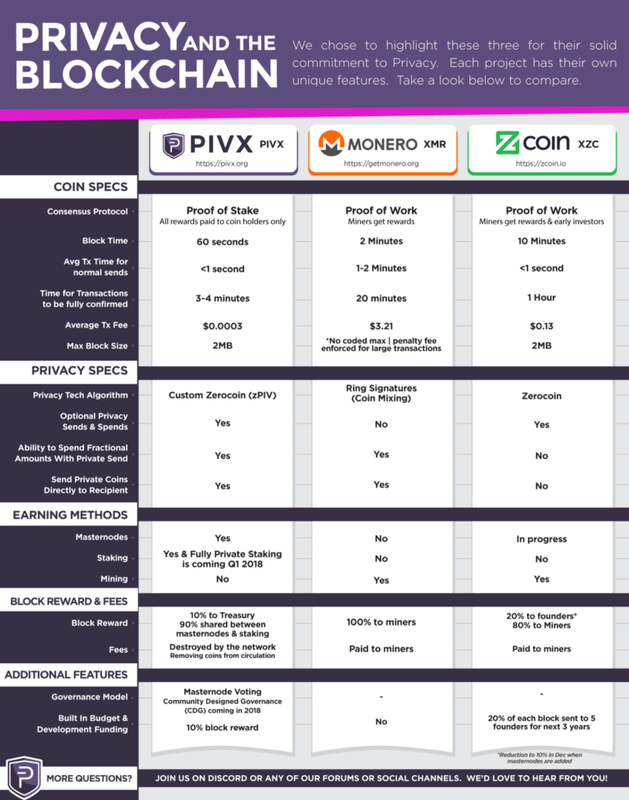 To wrap up this section speaking about the merits and tech of PIVX I have a final chart that was provided to me on Twitter comparing some of the main privacy coins Monero (XMR), PIVX, and Zcoin (XZC). Thank you to @jakimanboy for showing me this image. PIVX is available on major altcoin exchanges with BTC and ETH pairings. The most volume on for those pairings are on Binance, Bittrex, and Upbit. Upbit also overs a KRW pairing for PIVX. Additionally, Livebit offers a EUR pairing and Livecoin offers a USD pairing, but the volume of those is significantly lower than the BTC, ETH, and KRW pairings of the previously listed exchanges. Binance registration link is a referral link. Tomorrow’s token will be carVertical and release of the article should be a little sooner than today. I am not associated with the PIVX project besides being a bagholder. I hope you found this article useful and you can follow me on Twitter @thant1194. Leave comments below or message me on Twitter for suggestions about any coins you would like summarized later this month!